There’s a place in the Potomac River not far from my house that’s really peaceful. Not too many people go there. 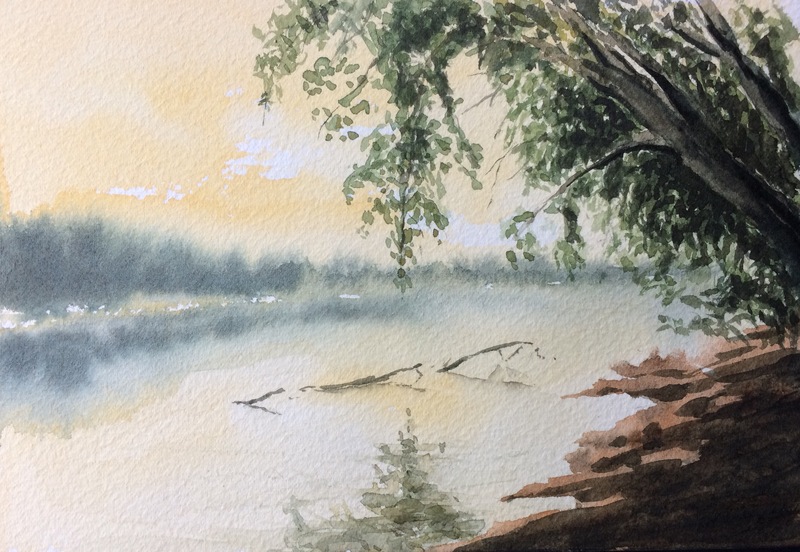 I tried to capture that sense of calm with an earth color palette of Prussian Blue, Burnt Umber, Burnt Sienna, and Yellow Ochre. I think I’d do this a little differently again with the hanging branch left of center. The even split of the picture feels a little jarring.